I know meteorologists who don’t use this and for the life of me can’t figure out why! I try not to talk about weather too much here. I’d rather not be in competition with my bosses business. However, there is a tool I use on a daily basis–BUFKIT. BUFKIT is like a Swiss Army Knife for weather! It’s freely distributed by the Weather Service as is the data that feeds it. I know meteorologists who don’t use this and for the life of me can’t figure out why! 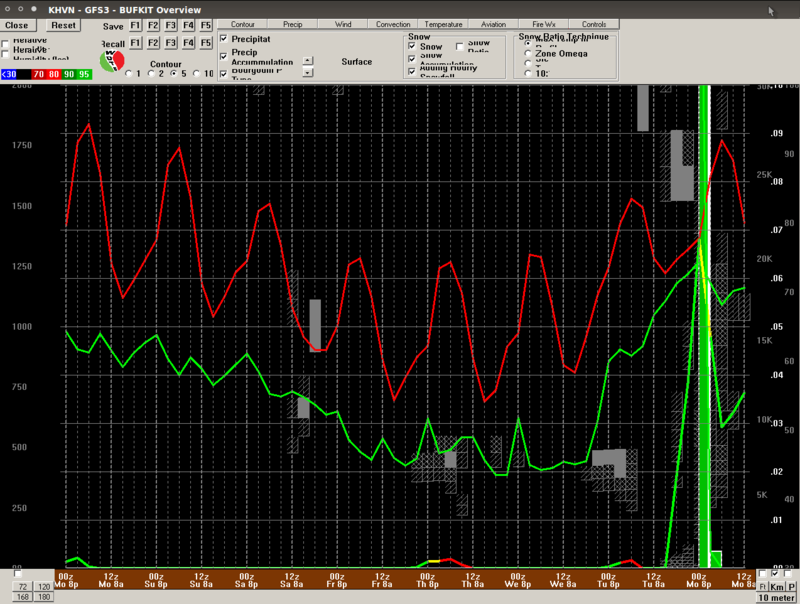 BUFKIT is a forecast profile visualization and analysis tool kit. It is targeted as a training and forecast tool for the decision makers of the National Weather Service. It is also available to anyone that would like to explore very high vertical and temporal resolution model output for specific point locations. Weather maps show a large spatial area for one specific time. BUFKIT shows single points for an extended period of time. It’s possible to turn parameters on-and-off so you can look at the atmosphere top-to-bottom as weather systems move through. I can’t overstate this program’s importance to me. There’s a fresh version out and since it’s free I thought I’d mention it. If the weather interests you this is a download you’ll enjoy. Thank you for this link. Please post more similar links when the spirit moves you. Tried to install in XP Pro x32 on an older machine as a test, and had a few problems with VB. Government software must be a bit like government cheese. Will need to find a bit of time to get it running, but will be fun. Thanks again.